You all know about the thought experiment called Schrödinger’s cat, right? This scenario presents a cat that may be simultaneously both alive and dead, a state referred to as a quantum superposition, as a result of being linked to a random subatomic event that may or may not occur. The Bitesize Irish Gaelic Podcast is in the same position. Some people may see it as being finished while others just start listening to our first episode. 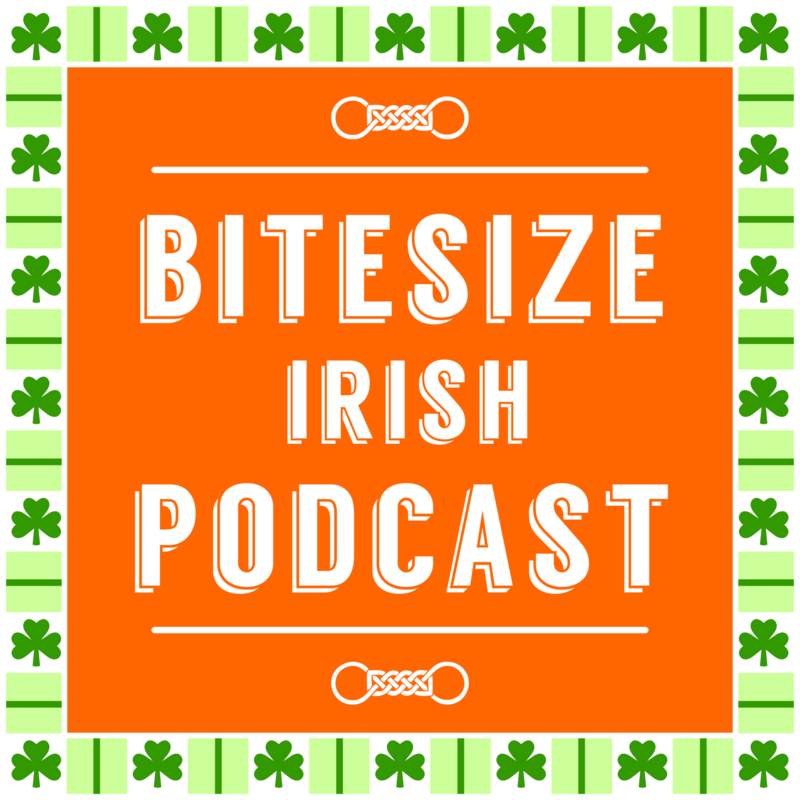 In this rebroadcast of the 67th Bitesize Podcast, Eoin sits down with his son – Liam and let us know what you should expect after the last episode (66th) of our online show. If you’re going to listen to this episode, you’ll find out how to sign up to our member-only Facebook group and what to expect if you’re subscribed to our Podcast on iTunes or somewhere else. 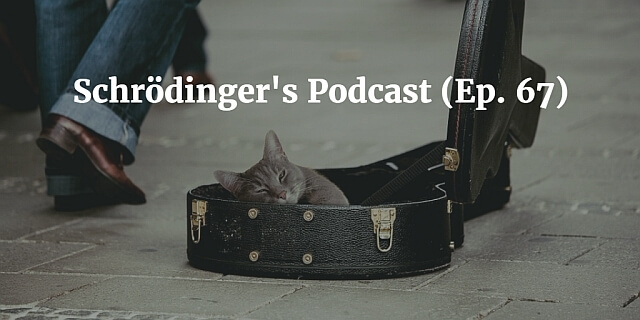 The connection between the Bitesize Podcast and Schrödinger’s cat is that while we’re not going to make any new audio content, the audio show is still alive thanks to new people who are subscribing daily and starting to listen. That’s why we’re running rebroadcasts which are basically re-runs of the original episodes that spread over two years of hard work. Next week we’ll restart the re-runs with the first episode. 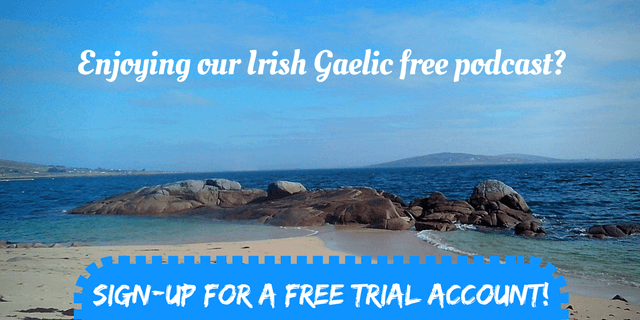 Until then, you can listen to the current rebroadcast of the 67th episode of the Bitesize Irish Gaelic Podcast, in the English language.